Enhance your pretty look with this navy blue floor length anarkali suit. 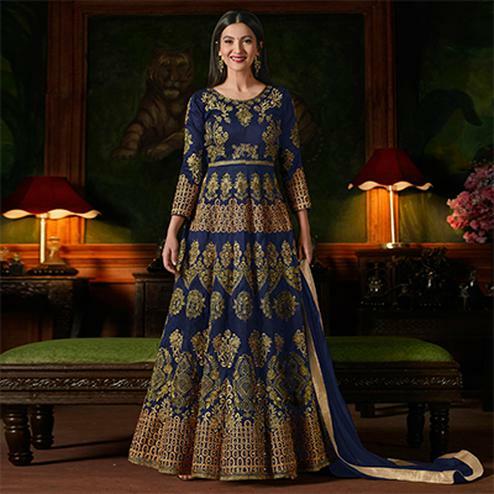 This semi stitched suit has got georgette fabric anarkali enriched with zari and resham embroidered work in floral leaf design and velvet fabric hemline having hand made gota fabric floral motifs over it. Teamed with matching color santoon bottom and beige color chiffon printed dupatta having navy blue and pink lace border. Best suited for parties family functions and special occasions.